It will mark the opening of the theater's 2019-20 season, according to China Arts and Entertainment Group, the opera's producer. The play presents the epic adventure of Marco Polo who traveled along the ancient Silk Road to reach China in the 13th century, with a focus on the trade and cultural exchanges between the East and West. The opera was created by an international team including Danish stage director Kasper Holten, former director of opera for the Royal Opera House in London, German composer Enjott Schneider and Chinese opera writer Wei Jin. It will be performed in Chinese by international singers. Chen Rui, the opera's executive producer, said the production connects the cultures of the East and West and employs an international language to tell stories of China. "The performance in Italy will be the opera's first foray into the overseas market, and we have high hopes for that," Chen said. Giuseppe Acquaviva, artistic director of the Teatro Carlo Felice, said "Marco Polo" embodies the long-standing ties between China and Italy and he believes it will be a hit with Italian audiences. Last May, the opera debuted in Guangzhou, capital of southern China's Guangdong Province, and was a huge success. 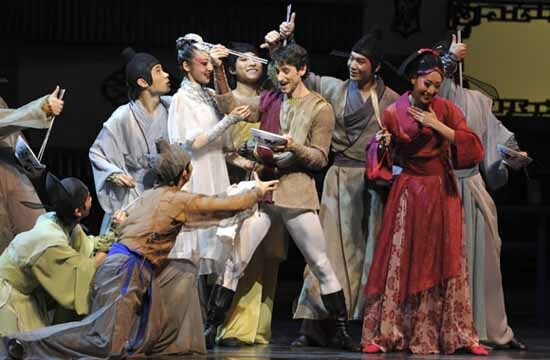 "Marco Polo," an original Chinese opera, will be staged in the Teatro Carlo Felice in Genoa, Italy, in September.